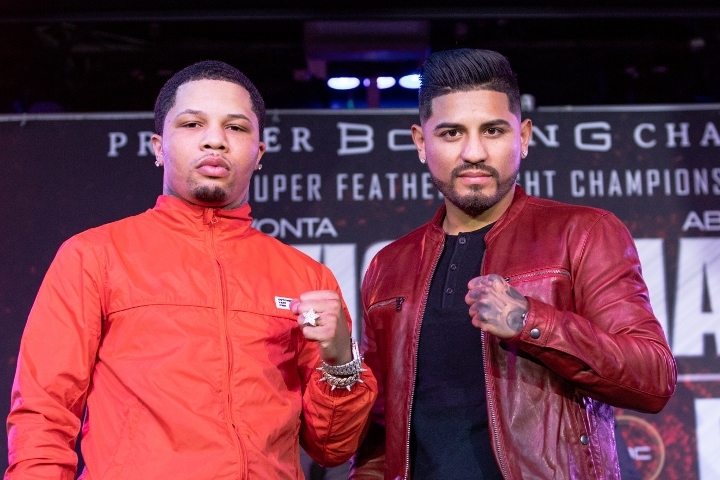 Robert Garcia, trainer for three division champion Abner Mares, is expecting a very big upset on February 9th, when his boxer will challenge WBA super featherweight champion Gervonta Davis (20-0, 19 KOs). The contest will take place at the StubHub Center in Carson, California. Mares (31-3-1, 15 KOs) is coming off a twelve round decision loss to Leo Santa Cruz from June. Back in 2013, Garcia led heavy underdog Marcos Maidana to a shocking victory over a then undefeated Adrien Broner. Garcia is expecting a very similar result in February. “Abner is very motivated. We have very strong sparring partners and he’s doing a great job in the gym already. Come February 9, everyone is in for a surprise. I respect Gervonta Davis and his team, but I think Abner is hungrier and looking to make history,” Garcia said. Richard Schaefer, who is co-promoting the event, is anticipating a lot of fireworks in the contest. “This is a fascinating matchup taking place at the perfect venue. This is a great fight to get 2019 going. It’s youth, strength and size against experience, will and desire. May the best man win,” Schaefer said. “Gervonta Davis is the best fighter in his division and he’s one of the guys who can talk the talk and walk the walk. Abner Mares has always sought out the most difficult challenges in front of him. He is a legend in this sport and one of the best fighters to ever come out of Mexico. These are the kinds of challenges that make Abner what he is in this sport.